I am getting pretty bored with these books. I guess at this point I'm just reading to find out what happens, but considering the series was supposed to end at 4 books, and then this was supposed to be the final book and now it's not. 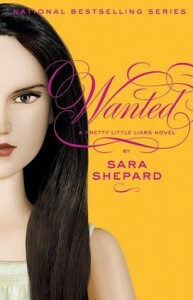 Well it just seems like Sara Shepard is in it for the money now. Kind of pathetic.